This is the first year that I participated in the annual Southern Weddings magazine Christmas Ornament Swap. I wanted something simple, classic, and elegant to reflect Royal Events by Melissa, but that could still be personalized. 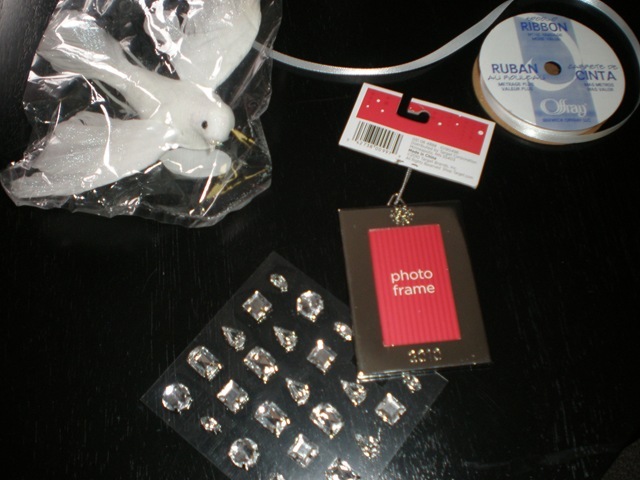 As you see I purchased miniature frames from Target, crystal embellishments from Archiver’s, white ribbon and doves and Flower Factory. 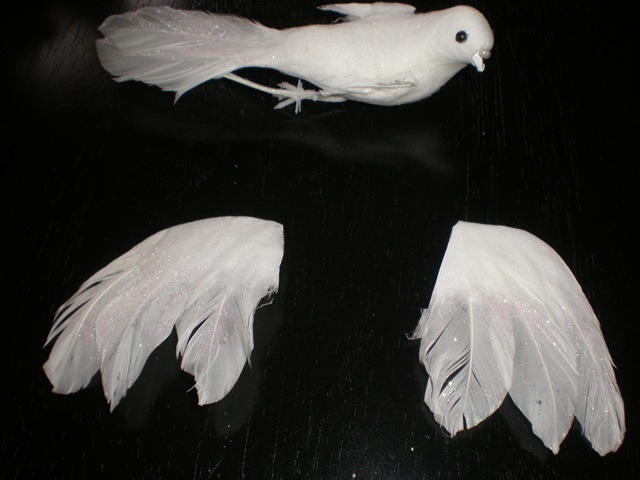 I removed the wings from the dove as they were the closest thing I could find that resembled angle wings. 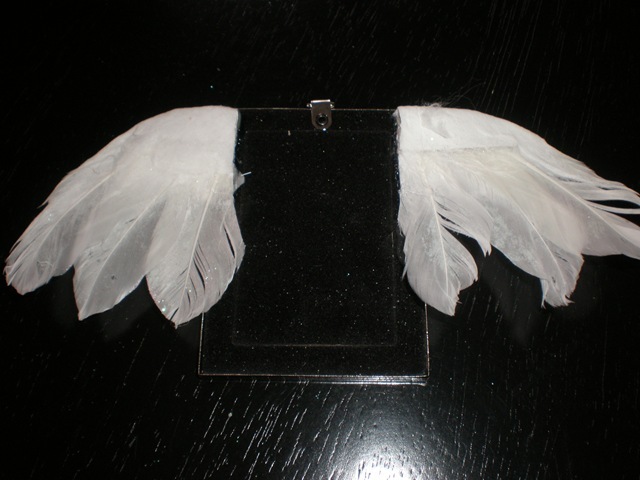 I then hot glued them to the back of the frame. On the front of the frame I added a crystal embellishment to add sparkle. Then I tied white satin ribbon to the frame to hang from the tree. 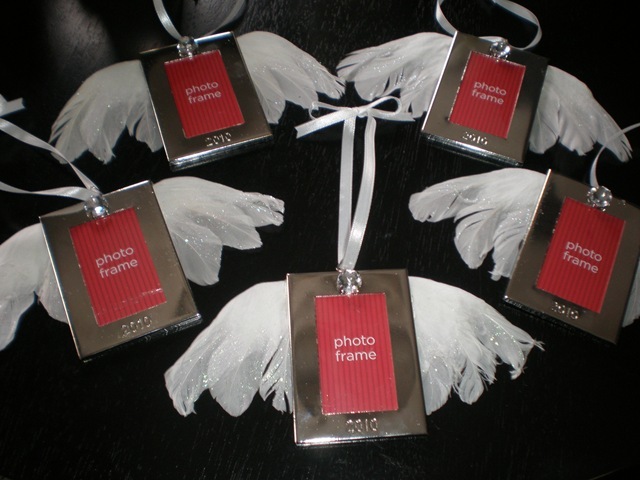 You can then add any picture you like and you have your own personal Christmas Angel Frame. 1. Following @royalevents on Twitter and sharing this post on Twitter. Make sure you leave an additional comment so that I know. 2. Becoming a fan on Facebook of Royal Events by Melissa and sharing this post with your friends and family. Make sure you leave an additional comment so that I know. Contest ends Tuesday, December 21, 2010 at 11:59PM EST. These are beautiful. 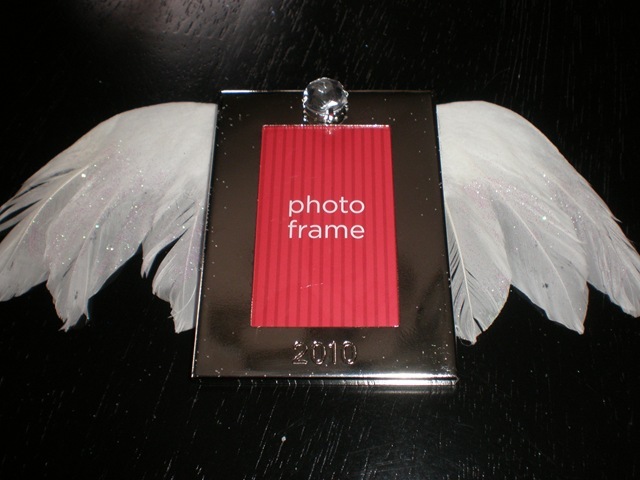 I would love to add a pix of our new baby and have this as her first ornament. Thank you Robin! Congratulations on your new baby girl too! I am a twitter follower and tweeted about giveaway. I am a facebook fan and shared giveaway/blog with my family and friends. Thanks so much! How is Maddy? Found you on facebook too.